The world will be watching Yankee Stadium tonight to witness one of the most anticipated Wild Card games in recent memory. Two of the very best Wild Card teams in history will do battle with a World Series Game 7 atmosphere in the air as the Oakland Athletics and New York Yankees get set to go to war with a trip to Boston on the line. Tonight, we have a 100-win team in this game for the first time ever going up against a dangerous team that nobody picked to be here. The Yankees capped off a phenomenal regular season, whether anybody wants to believe it or not. Finishing 100-62, the Yankees will enter their second straight AL Wild Card game and their third in four years. On the other side, we have a legit Athletics making their first appearance in the postseason since 2014 after ending their regular season as winners of 63 of their last 92 games. 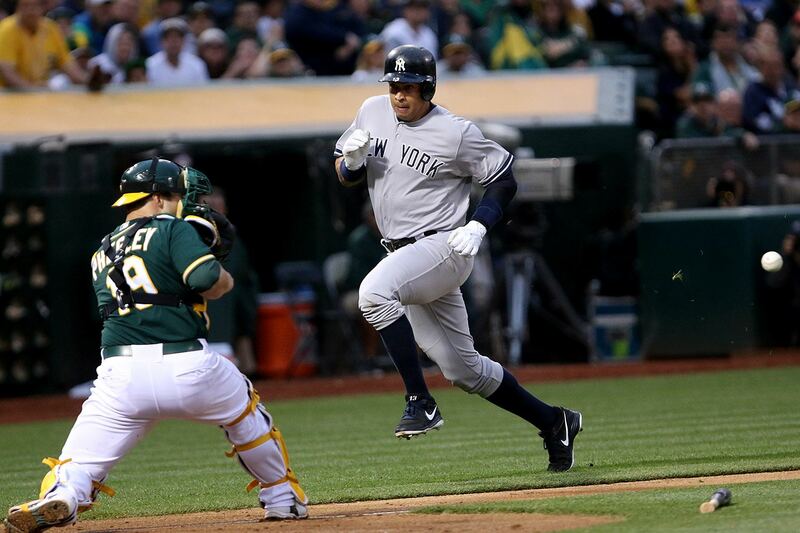 The Yankees and A’s finished their season series with a dead even tie as both teams walked away with three wins a piece. So tonight’s game will not only decide the season series, but it will send a very good team home tonight. As we witnessed last night between the Colorado Rockies and Chicago Cubs, anything can happen in just one game. So we should expect more of the same tonight. Before I go into my prediction, let’s take a look at what tonight’s game has to offer. In what has been deemed both surprising and expected by many, Manager Aaron Boone finally answered the question and he will hand the ball to his ace, Luis Severino. This is a move that many are going to criticize and many are going to agree with. At the end of the day, Boone made the right call with Severino. We can have a discussion on why J.A. Happ or Masahiro Tanaka should have been given the ball, but Severino is the guy. Severino has pitched very well as of late, limiting teams to two runs or less in his last three starts. On top of that, he has a devastating slider when it’s working and his fastball flirts with 100 every time. Severino has put up great numbers at home, he pitched well against the A’s the last time in the Bronx, and bottom line, he is the ace. Boone has also said he will have “all hands on deck” for tonight, as he rightfully should. Which means Tanaka, Happ, and Lance Lynn are all available if needed. Boone isn’t afraid to go to his bullpen early if he has to. I know Severino did not pitch well in Oakland a few weeks back, but with his recent success and how he was able to bounce back, as well as this game being at home, this needed to happen. I will say this though, the first inning is crucial. Despite the win, nobody has forgotten about Severino’s implosion against the Minnesota Twins in the first inning of last year’s AL Wild Card. If it wasn’t for the bullpen and the three-run home run off the bat of Didi Gregorius (that still hasn’t landed yet), last year’s postseason may have turned out different for the Yankees. It will be important for Severino to get off to a strong start against a stacked lineup that knows how to put the ball in play and also knows how to hit home runs. Either way, I think Boone made the right move in going with his ace. He has everyone on standby and maybe Boone putting his trust in the young starter is exactly what Severino needs to pitch tonight like he did in the first half of the season. WILL THE “BULLPEN GAME” FAVOR THE A’S? When Athletics Manager Bob Melvin met the media yesterday, he announced he was going to use a very bold and interesting strategy in tonight’s game. Melvin is going to insert the “Bullpen Game” against the Yankees. For those who don’t know what this means, Melvin will not use a starting pitcher to begin the game, but instead he will use his bullpen pitchers for a span of 1-2 innings through the duration of the game to try to throw the Yankees off. The Athletics come into this Wild Card game with 14 pitchers on their roster, and only one of them is a starting pitcher, Edwin Jackson. While Melvin didn’t go into too much detail on his exact strategy for the “Bullpen Game,” he did announce reliever Liam Hendriks will start the game as his “opener.” Hendriks is very experienced in this spot as he has not allowed a first-inning run in his last eight “opener” appearances in the month of September. Melvin explained to the media that a big reason behind this decision was the amount of injuries to the A’s starting rotation. Melvin mentioned that the bullpen has gotten better and they have experimented this type of game before. Now, the A’s have a lot of depth in their bullpen to make this work. After Hendriks, you figure Melvin would go to relievers such as Shawn Kelley, Lou Trivino, Jeurys Familia, and Blake Treinen, all of whom have had success against the Yankees this year. Melvin has also not ruled out the possibility of Jackson making an appearance as well. The Yankees have a dangerous bullpen of their own that Boone isn’t afraid to use early, but Melvin is putting all his eggs in one basket and going with what got him to this game in the Bronx. The way I see it, maybe Melvin wanted to be different, maybe he believes in his bullpen more than his banged up starting rotation, either way, it’s a decision we have never seen in an elimination game like this. Melvin also has more playoff experience than Aaron Boone. Melvin probably figured that Boone was going to script his entire lineup around his starting pitcher, the problem is, Melvin is going to have a new pitcher in the game every two innings. I think Melvin is counting on Boone and the Yankees to be phased by this strategy. Whether it works out or not we won’t know till later. Both the Athletics and the Yankees are coming off great years on offense. The Yankees are coming off a rather historic year, officially breaking the single season home run record with 267 home runs combined. While the Athletics don’t have that to brag about, there is no reason they shouldn’t be happy with the 227 of their own home runs, 48 of them being hit by Khris Davis. Regardless, both teams know the long ball very well and as we all know, if you hit the ball in the air at Yankee Stadium (especially to right field), good things are bound to happen. Both teams have a lot of power up and down the lineup, and that will be on full display tonight. There is also a level playing field between these teams as both the Yankees and A’s hit .229 against each other in the regular season. The Yankees however have to be extra careful with their pitch selections tonight. The A’s come into this game with the lowest ground ball percentage in the league with 39.7%. It is vital that Severino and anybody who comes out of that Yankee bullpen has paid close attention to the scouting reports, because ground balls and double plays are going to be key in beating this A’s offense. If the Yankee pitching staff doesn’t choose every pitch carefully, they could be in for a long night. I hope the A’s watched last year’s postseason, and I hope they know how crucial it was that they didn’t get this game in Oakland. This very young and talented Athletics team is going to learn very quickly that they will be in a different atmosphere tonight, one they have never experienced before. Yankee Stadium is a mad house and will be as big of a home field advantage as the Yankees get. Many have compared last year’s postseason to how the old Yankee Stadium used to be during the playoffs. They were loud, the stadium shook, and visiting teams such as the Minnesota Twins, Cleveland Indians, and 2017 World Series Champion Houston Astros, never had a chance in the Bronx. I would even go as far as to say if the Yankees had home field advantage against the Astros in last year’s American League Championship Series, it would have been a different result. The Yankees went 6-0 in postseason games in the Bronx last year and the crowd was a big reason why. A great example was when the Yankees were down 3-0 in last year’s Wild Card game: Gregorius came up and brought Yankee Stadium to its feet so much so that they didn’t sit down for two and a half weeks. Uploaded by Sports Wagon on 2017-10-04. Another great example was when Greg Bird hit a monster home run in game three of last year’s American League Division Series against the Cleveland Indians. Not only did Bird’s home run save the game for the Yankees, the crowd’s momentum helped the Yankees come back from a 2-0 deficit to tie the series at home, and eventually win the series in Cleveland. Video belongs to the MLB. Regardless, the A’s better be ready to play in front of a crowd and atmosphere they have never seen before. If they can’t adjust quickly, they will most likely have the same fate as everyone else that tried to beat the Yankees in the Bronx in October last year. Regardless of where the A’s finish in this year’s postseason, they will look back and be happy with what they accomplished in 2018. The same can’t be and shouldn’t be said for the Yankees. In fact, I think the pressure is on the Yankees tonight, and it should be. The expectations for the Yankees since their game 7 ALCS loss to the Astros was to come back in 2018 and win the World Series. Then two months later they traded for the NL MVP in Giancarlo Stanton, so the expectations were confirmed. That is where the Yankees need to finish, holding up a World Series trophy at the end of October/early November, anything else is a failure. Expectations don’t change, no matter what happened in the regular season. Now, I’m not saying Boone should lose his job if this team doesn’t win, you don’t fire a first year Manager that won 100 games. However, this should also not be a season celebrated because of 100 wins if they are eliminated at any point in this postseason. I understand the Yankees had injuries this year, I understand Boston was just better than the Yankees in the AL East, but with the amount of talent on the roster, the moves made at the deadline, there is no reason this team shouldn’t be able to do what they did last year and more. The Yankees played good baseball down the stretch, especially against sub-.500 teams, and they also had some great wins in September, specifically against the Red Sox winning two out of three at Fenway Park to end the season. So, there is no reason to say this team can’t win and the expectations should change. This is the most must-win game in recent Yankee history, and not because it actually is a must-win game, but simply because of their expectations. If these expectations aren’t met, it’s going to be a long offseason for a team that on paper won the World Series last December. There shouldn’t be a fan or member of the team saying, “Well at least we made the playoffs.” You don’t get to say that after trading for the NL MVP when you never needed him in the first place, making the moves you made at the deadline, only to fall short of the goal. If the Yankees lose tonight, or at any point in this postseason, the season should be looked at as a disappointment. This is going to be a close game tonight, and I believe we will have ourselves a pitching duel for the first few innings. I expect Severino to feed off the Yankee Stadium crowd and use his home success to his advantage. I also expect Melvin’s “Bullpen Game” strategy to be successful in the first half of the game. This game is going to come down to the Yankee bullpen, who I believe is better and more equipped than the A’s. I think at some point close to the 6th or 7th inning, the Yankees are going to take advantage of the A’s running through their entire bullpen. While it is an interesting strategy on Melvin’s part, I can’t see it paying off for a full nine inning do-or-die game. I also can’t see the Yankees losing in front of this crowd tonight. If it’s anything like last year’s postseason, the Athletics are in trouble. I think we see the Yankees come up with the big hit in the 7th, the A’s struggle against the Yankee bullpen, and the Yankees set up a date with the Red Sox on Friday. DO YOU AGREE WITH MY AMERICAN LEAGUE WILD CARD PICK? Let me know in the comments below and by following me on Twitter @SMMcChesney, and follow all my MLB posts and articles all postseason long.